I very much like James's approach to puppy training. It's good fun and I feel that my puppy enjoys it too! It's a very positive experience and is strengthening our dog/owner bond. We will continue to attend James's classes into the future. Training with James and Hannah has been a wonderful journey, I went with the idea it was the dog that needed training but soon learned it was me also that needed training to build a bond between me and dog. James helped me to realise and attain all that I wanted from my training in a professional and extremely friendly environment. I can not recommend James's training highly enough. If you want to achieve all your goals in a friendly, positive training environment then contact James and you be on the road to success. James has worked wonder with our little girl Mey, a Clumber Spaniel. We took her to the Puppy Class James ran, with James's knowledge and helpful approach we have made huge strides with her training. If we ever had an issue or was unsure of Mey's training James was always at the end of the telephone with positive helpful advice. The training facilities where excellent too, plenty of easy access for parking which is always a bonus. James finds the positive traits in a dog, making borh handler and dog feel comfortable and really enjoy their training together. He understands that dogs and handlers have the odd hiccup now and then and his focus is always on making training FUN. It was a first for me! I have never had a puppy before let alone a puppy i want to use for working. I already have a Lab which was a rescue but decided i also wanted a hunter / retriever so opted for a cocker. I got intouch with James and went on a 10 week puppy foundation course! James's approach to training is refreshing and professional he remains calm throughout and instructions are always clear, classes are fun and rewarding with excellent results, i feel i have achieved a massive amount in 10 weeks after all it is the handler that is really being trained. So 10 weeks over and a really responsive well behaved Cocker (obviously she is still a puppy and loving life) however i felt so confident with James and his training abilities i have enroled on the puppy to novice course with a gap of a week between puppy training! The dog loves the classes as do i, i really cant recommend James highly enough! 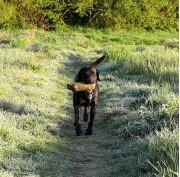 We had a lab springer rescue who was a full on dog and we had problems which we could not resolve so we had a 1-2-1 with James in the forest and then practise at home and what a difference this made. James explains how you can work with your dog to improve yourself as a dog owner / trainer to work together. We also did a group session which taught me so much, not only with my dog but seeing how he worked with other owners and the issues they had with their dogs, a very enjoyable day. We will soon be taking our new Golden Retreiver puppy to James, whether you want a well behaved pet or a pet gundog / working dog James will help you get there I travel 45 mins to get to his training and well worth it. I have been training with James for a few months, he is very knowledgeable and no problem goes unsolved. I will continue training with James for the foreseeable future and cannot recommend him highly enough. I've been doing 1-1s and group classes with James for just over a year and it's been exactly what we needed. After doing a basic puppy obedience class nearer home James was recommended to us as he's a specialist working dog trainer. Monty is my first dog, so I'd never trained a dog before, let alone a gundog so it helped that he understands the level of the owner as well as the potential of the dog. He's been training me to train the dog rather than just training the dog! As well as the retrieves and working skills that gundogs need he's really helped with behavioural development and getting bad habits out as well. Monty loves every second of it. The other owners at the group classes are really friendly and there's a social feel about the sessions. We also live about 45mins away from where the classes are but after the first session with James it was obvious we wouldn't get a better trainer any closer, and the forest where the classes are is ideal so well worth the trip. Have taken my two flatcoated retrievers to James for Gundog training. He is thoughtful and methodical and best of all his methods work. He is also one of the few trainers happy to train me to work my two dogs at once. We thoroughly enjoyed our sessions and always came away with something to work on. As the title says, ignore all other trainers........James is SUPERB!!!! 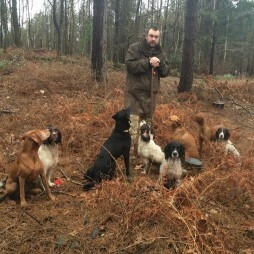 We have been to James's HPR, Basics, Basics, Basics class and his Mixed Gundog Class, all of these classes have been fun and very informative. One thing you take away from all of his classes the positive feeling that you are making progress and you and your dog will improve. A huge bonus is that you actually enjoy the classes and can't wait until next week. James is always at the end of the telephone/email/text message or messenger to help and guide you on your dog training path. If you have a puppy then his Kennel Club puppy classes are a great way to start, as you can see we can not recommend James and Hannah of Cwnsaethu Dog Behaviour and Training highly enough. Just choose the BEST.......we did and have not looked back. James has been helping me train my cocker for over a year now and I'm so pleased with the results! Patience, understanding and a sense of humour are vital for the breed and James has that in abundance! Not set in his ways, always willing to work with you and open to new methods. He's also helped me see things much more from the dog's perspective, which I think is something that is vital. Although I train my dogs for working, ive also been able to refer several of my "pet gundog" owner clients to him with fantastic results. Could not recommend him highly enough..
Welly and I have been training now with James for the past 2.5 years. We've learnt so much together, tried new things and made great friends. 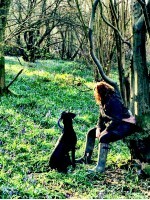 We go gun dog training weekly in classes but we've also done 121's and one off workshops as well. James is always extremely approachable, no issue too big or too small and works hard to make sure all his 'students' are moving forwards, having fun and building great relationships with their dogs. I have been training Maggie my ESS with James for a couple of years now. James is an inspirational trainer who has got me hooked! He is patient with dog and owner and always explains fully backing up his practice with theory. James has the rare ability to tune in to both dog and owner and adapt training to suit individuals. He is kind and gentle with the dogs who all adore him. James is always available outside of training sessions to help and give advise and continues to challenge and encourage. The proof is in the pudding as they say and I am very proud of both Maggie and my development. I would highly recommend. My young springer thoroughly enjoys the training and has come on so much since we started training with James. He is very patient, not only with the dogs but with us owners as well as I think we are a lot more difficult to teach than the dogs!! Flo, my English Springer Spaniel, and myself have carried out various training with James including one to one and group sessions. James is fantastic; he's patient and makes the classes great fun. We've learnt so much in the short time we've known him. Highly recommend his services! Patient, kind and full of good ideas, James is an excellent trainer. Group training classes are lots of fun and small enough for each dog and handler to receive individual guidance. Exercises are adapted to suit the experience of each dog/handler team and we never fail to come away having learnt something new. Scout and I found a gem when we met James and his team. I cannot recommend them highly enough. I have been having lessons with James to realise the potential of my Italian Spinone. James is very patient with me and always has the best method of getting the most out of "Tino " and me! Will be forever grateful for the help I received from James, Elsa is a young energetic and boisterous viszla and I was struggling with her behaviour and training. James helped me to understand what she needed and gave me the confidence to keep going with her training. Completely turned my life around. she recently came back from a stay in kennels and they thought she was a different dog. I went to James as was lacking confidence in my dog with some of his behaviours. James made us feel very comfortable and began to show me how to build confidence in my dog and better our relationship. From working with James on behavioural issue's we then went on to enjoy his gun dog classes and 121s. it is enjoyable, fun and a very comfortable environment to train in. James has a wealth of experience and qualifications which shine through when dealing with behavioural or training issues. 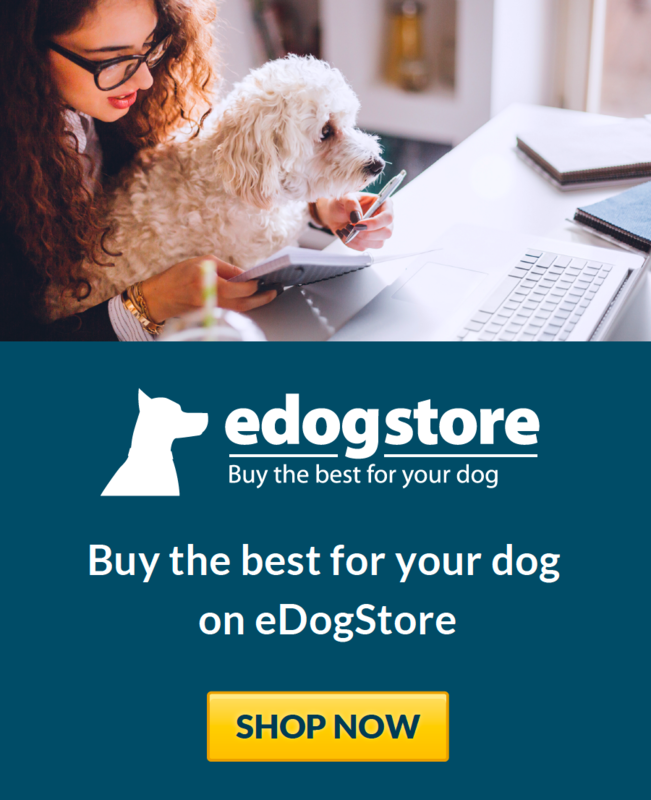 He supports you as you to learn to master the skills needed to have a happy, fulfilled dog. I have George, a black labrador retriever. James has taken me from basic obedience to achieving George's potential as a pet gundog. James makes every training session interesting and enjoyable. He is understanding and patient, and always has new ideas and suggestions to get the best from your dog. His methods are very effective and I wholeheartedly recommend him. I would like to thank James for all his help today, he put me totally at easy and encouraged me and Lottie and I now have the purpose and enthusiasm to start out on our journey into Gundog training. After only our first 1-2-1 lesson both Lottie and I can not wait until our next one. My lab pup really enjoys his training sessions and so do I. James is friendly and certainly understands dogs and puppies, James put me at ease right from the start. Can't wait to join in a group class as so far I've only had 1-2-1 training with James, my pups tail did not stop wagging and the huge grin on his face was a picture. We learn so much in an hour and get the info and support to continue on our own until the next lesson. I highly recommend James and Cwnsaethu Dog Behaviour and Training. I travel a fair distance but it's worth it and I don't want to go anywhere else. My husband and I own a 1 year old golden retriever and started training with James a last summer. We initially had a two hour one to one training session which helped us to understand our puppy and to build on the training we had started. We also joined the group puppy classes and have now progressed to puppy to novice class. The classes are informative and a lot of fun for dogs and owners. James is an excellent trainer, really knowledgeable, gives great advice which is easy to understand, and is very encouraging and supportive to both owners and dogs. "I love James' classes. My owner and I have a lot of fun at classes and learn new things to do together which means I am a happier and better behaved dog (apparently) and they seem to take me out more often. I have learnt that 'steadiness' matters, not just for gundog training, but because sitting around in pubs requires lots of waiting. I also learnt to sit 'close' so my tail doesn't get trod on when we are on the bus or in busy spaces. James and everyone in the classes are very patient and positive, even when I don't get things right, and my owners seem to enjoy being trained too. Everyone is supportive and happy to give them lots of useful and realistic advice to make me a happy dog." Very highly recommend James.. He has redeemed the faith that I lost in my young springer on more than one occasion! Not only this but he is very friendly and helpful.. I regard him more as a friend now than anything else, so training with him is also alot of fun! His group sessions are also very good. Really enjoy going to them, learning and having a good time. 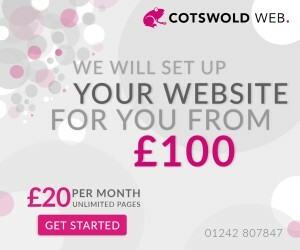 I cannot recommend James and his team enough. After getting our first spaniel puppy, we wanted to make sure that he was well trained. But we recognised very soon that we really did not have the first clue about training correctly. James and his team are supportive, inside and outside lessons, very approachable and really understand that training a dog is seriously hard work and having the right support is key. James, his team and the fellow dog owners are all great!